A few weeks ago we told the story of 2 year old Jack, who suffers from a rare fatal childhood disease called Sanfilippo disease. Jack’s family are using Shareagift to help raise the £580,000 needed to fund clinical trials that could help him and children like him in the UK. 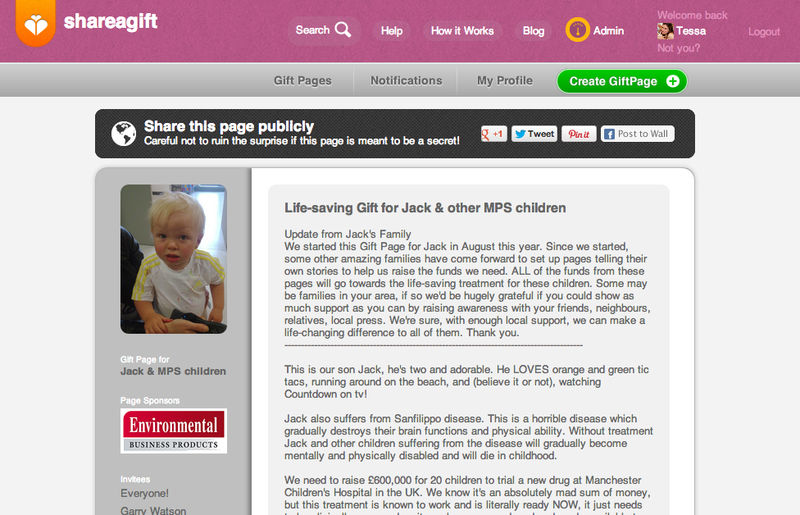 We were all really touched by Jack’s story, and wanted to help support the campaign. So over the last couple of months we’ve been working closely with the MPS Society and Wicked Genes initiative to help other families with Sanfilippo children gain public support. The charity and the children’s families created their own Shareagift Page for each child. That meant we could create ‘micro-campaigns’ to help spread the word and drum up support from lots of different angles all fundraising for the same cause. 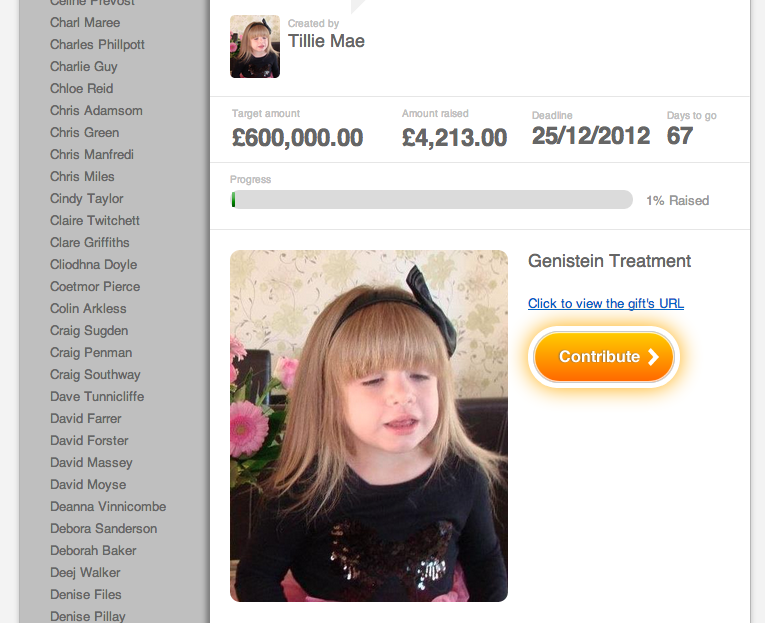 There are now seven children with Shareagift Pages all raising money for the clinical trials and the public response to their stories have been amazing. 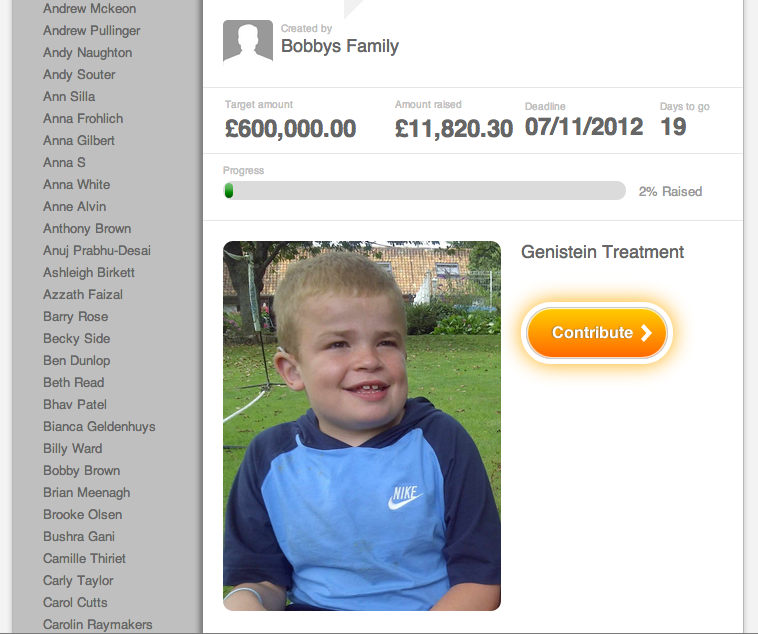 At time of writing, they have collectively raised over £26,000 towards the fund in just a matter of weeks. We’ve gained some amazing support from the press for the campaign. Because we had seven different children as the ‘faces’ for the campaign, we were able to reach out to local press for each child generating regional support, and off the back of this secure coverage from national press including The Evening Standard, the Metro, Daily Mail, Mirror and The Sun. The public response to this campaign has been absolutely overwhelming, with some of the children’s Shareagift Pages literally going viral overnight as people shared the pages with their friends – posting to their Facebook walls, pinning on Pinterest and Tweeting for support. To the generous public who have made contributions we cannot thank you enough. Through Shareagift and other fundraising initiatives the charity has now raised over £144,000 towards the funds – with one generous donor saying he would match the £25,000 collected on Shareagift to date with a single one-off contribution.